Trouble seeing this email? Please click here. Happy New Year! It is almost Wine Club time again! Our pickup party is Saturday, February 2nd, from 2pm to 5pm. If you would like to join us for the party, please email us and RSVP! If you normally get your wines shipped and would like to pick them up this time, please let us know before January 21st. Shipments to CA and AZ will go out Wednesday, February 6th, and shipments to all other states will ship out on Monday, February 11th. Selections for wine club shipments should be made on our website. We recommend using a desktop computer, or a tablet. Today, January 10th - Selections open. Monday, January 21st - Selections close at 6pm. Tuesday, January 22nd - Credit cards charged, begin packing boxes. **PLEASE NOTE** Once we charge your card and begin packing, we cannot change your shipping address, or change your shipment to be held for pickup without a $10 re-route fee. This is a charge from the shipping company, not from us, and is unfortunately non-negotiable. Please log in to our website to select your wines, and update any billing or shipping information. You may also email us your selections if that is easier. Please click here to see our available wines. Club prices shown are 20% off retail, but many of you are well above that discount rate. While making selections, we highly encourage you to use a desktop computer! The mobile and tablet versions of the site are currently in Beta testing so things may look a little strange on those devices. Try utilizing the "Desktop Site" version of the site if you are on your phone or tablet. This is usually a setting on your browser that you can change when you are on the website. Also, please check out our a step-by-step guide for making selections. Please see our Winemaker Selection packages for this shipment. You may change your wine selection anytime before January 21st. If you have not made your selections by 6:00pm on Monday, January 21st, you will receive the winemaker selections listed on our website. Free for Club Members (two people), $10 for guests, which includes food, wine, music by Bobby Malone, high-fives, bad jokes, and good times! If you would like to attend, please email us and RSVP before January 21st so we can hold your shipment! 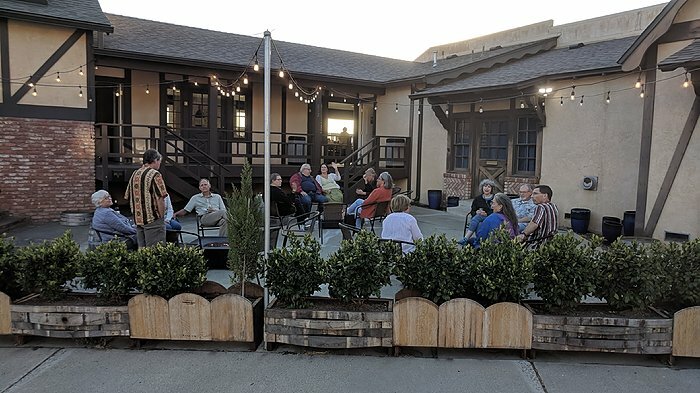 All events take place in our Club Member Lounge, which is in the same building as our Tasting Room, at 812 Cornwall Street in Cambria. Questions? Contact us today at 805-927-9466 or send us an email!